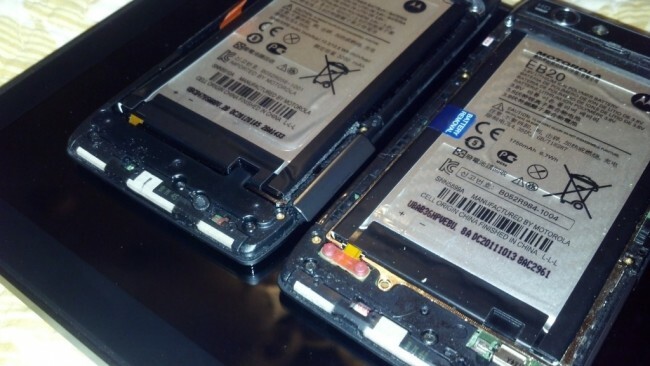 The DROID RAZR and RAZR MAXX really are identical devices in almost every way imaginable. Well, aside from the battery and slightly thicker body, the software is the same – something we detailed here – as well as the internals such as the processor, RAM, radio placements, camera, etc. This revelation pissed off a ton of original RAZR early adopters as they forked out $299 to get it early, all while being kept in the dark about a possible battery behemoth coming just 2 months later. Thankfully this Android community continues to have your back. An XDA member by the name wardo5757 has realized that the 3300mAh battery in the RAZR MAXX will indeed fit inside the regular RAZR and work! It has the exact same height and width, but of course, is slightly thicker. What I’m saying is, that all you need to do to is purchase a replacement MAXX battery and cover (from a parts dealer), follow iFixit’s guide to figure out how to remove the back piece of your RAZR, and swap them. There are really only two downsides here. 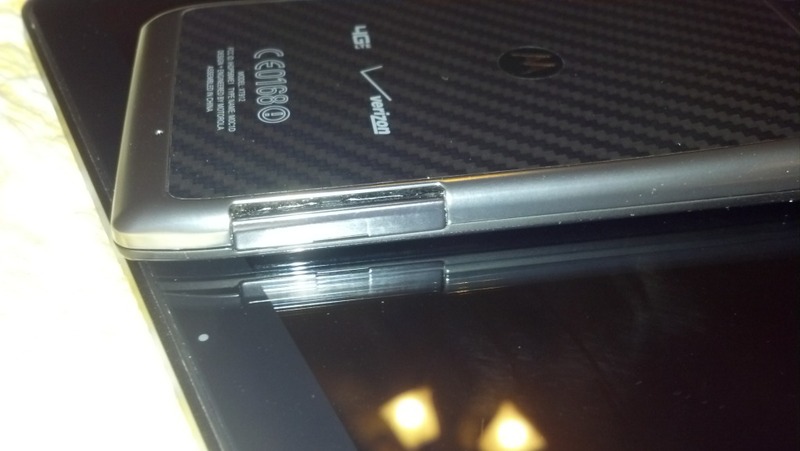 You could screw up and break something important in your device or you won’t like to deal with the slight gap in between the SIM card door and the new RAZR MAXX back (pictured below). So if you are handy with the steel and want double the battery life, you may want to start replacement part shopping. Cheers Mike and everyone else!